Many of the photos were taken by Gladys Roosevelt, daughter of John Roosevelt and second cousin to President Teddy Roosevelt. 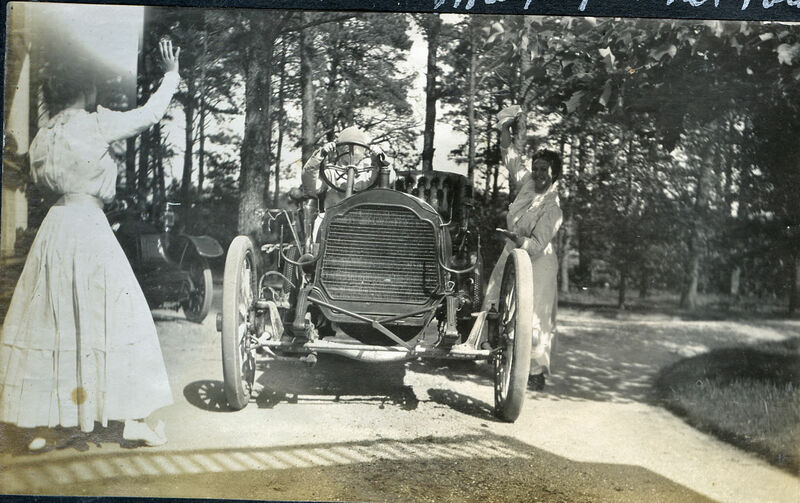 The photos document the the leisure activities of the Roosevelt family at their Sayville summer house Meadow Croft , the 1909 Long Island Motor Derby, the 1909 and 1910 Vanderbilt Cup Races, the 1910 International Aviation Tournament and automobiles of the Roosevelt family and their friends. Photos from the John E. Roosevelt Family Album will be posted in a new VanderbiltCupRaces.com series over the next few months. Several 'teaser" photos from the album are provided below. 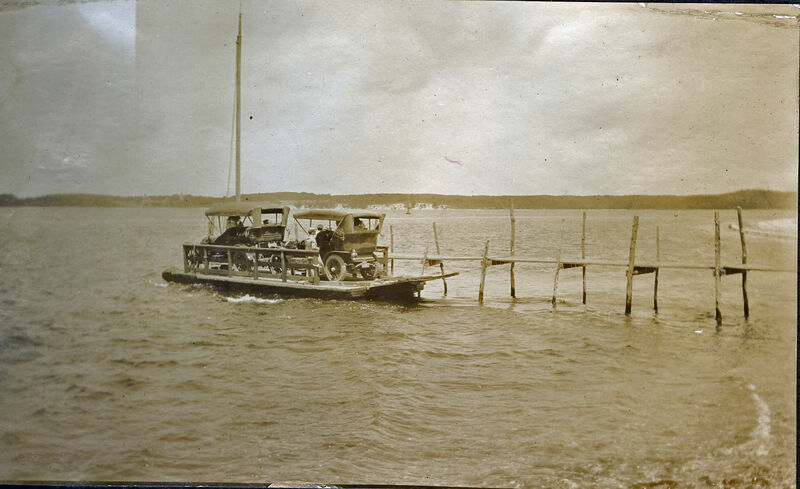 Special thanks to Richard Martin, Director of Historic Services, Suffolk County Parks Department, and Mary Bailey, President of Bayport Heritage Association, for agreeing to share these historic photos. John Ellis Roosevelt (1853-1939) was an attorney and first cousin of President Teddy Roosevelt. His family summer home Meadow Croft ,located in Sayville, New York, is currently owned by the Suffolk County Parks Department and was restored by the Bayport Heritage Association as a historic museum. 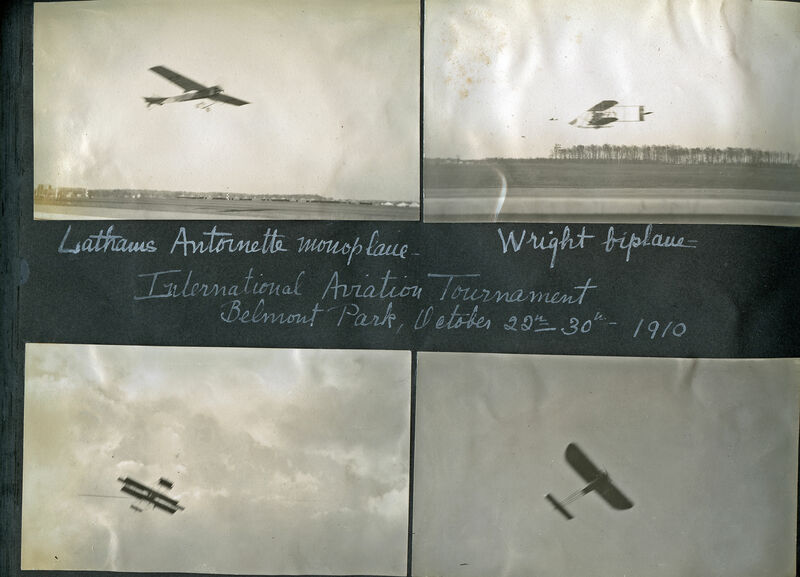 The photo album contains over 300 photos taken from 1909 to 1910. 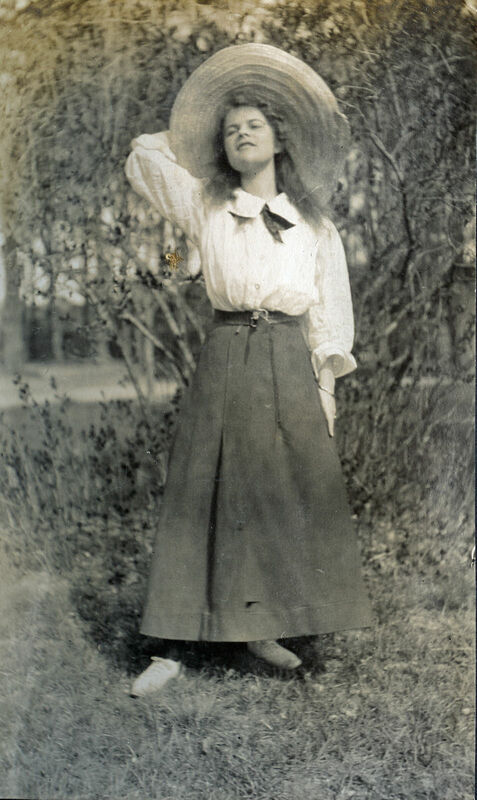 As seen on the first page, it appears that most of the photos were taken by Gladys Roosevelt (1889-1926), the oldest daughter of John Roosevelt. 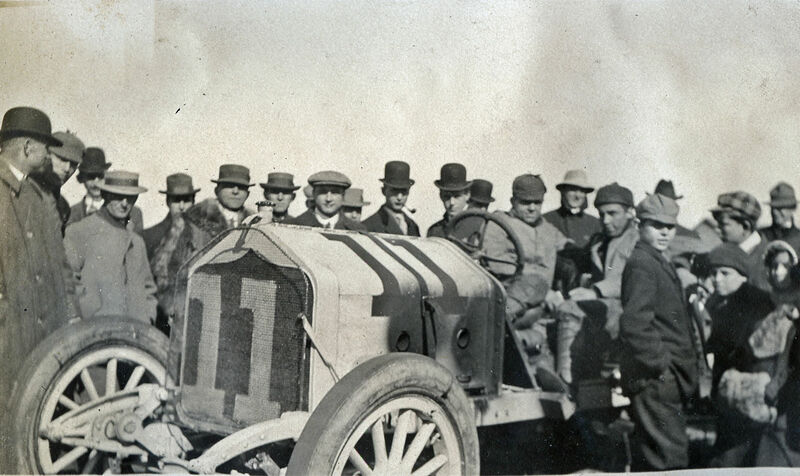 Gladys Roosevelt (1889-1926) loved photography and automobiles and became an artist. In 1926, at the age of only 37, she tragically died in a horse riding accident at the Meadow Brook Hunt Club. 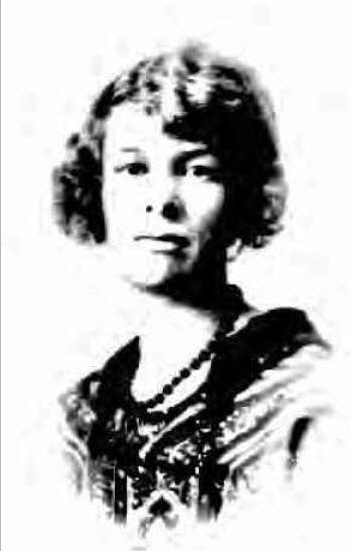 Jean Roosevelt (1891-1984) was Gladys' younger sister. 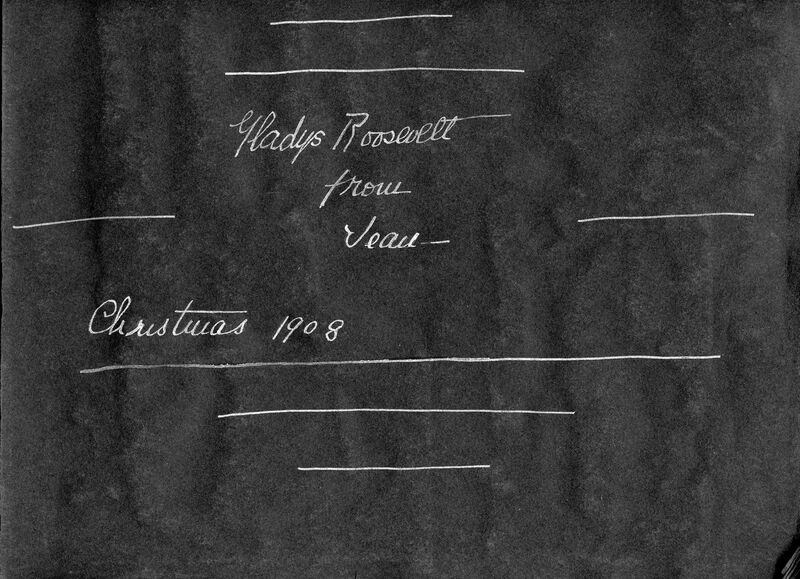 On December 25, 1908, 17-year old Jean gave her sister a blank photo album as a Christmas gift. All photos are courtesy of the Bayport Heritage Association and the Suffolk County Parks Department. 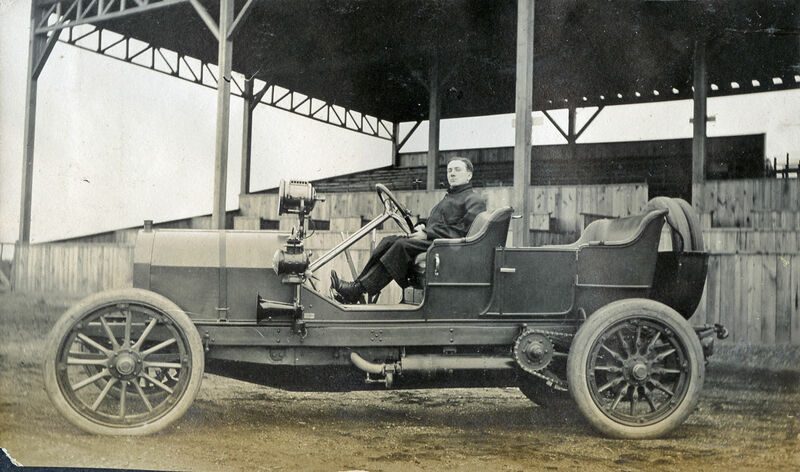 Caption: Louis Chevrolet's Buick, winner of its class, average 70 miles an hour. The race was held over a course from Riverhead to Mattituck. Caption: William Sharp's Sharp-Arrow, walk over in its class. 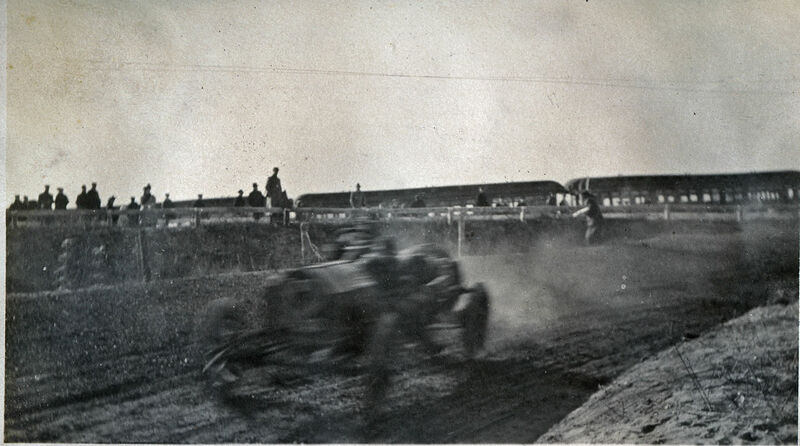 20-year old Gladys Roosevelt documented the 1909 Vanderbilt Cup Race as a spectator at the Massapequa Turn, a temporary banked curve linking the Long Island Motor Parkway to the Massapequa-Hicksville Road. 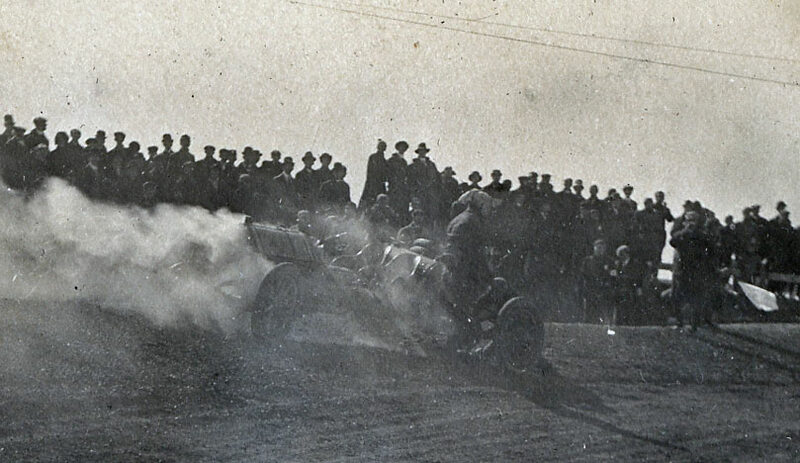 The #12 Marmon driven by Harry Stillman at the Massapequa Turn. Note the Central Railroad in the background. Caption: Little #41 Chalmers 30 in the act of losing its' left rear wheel. 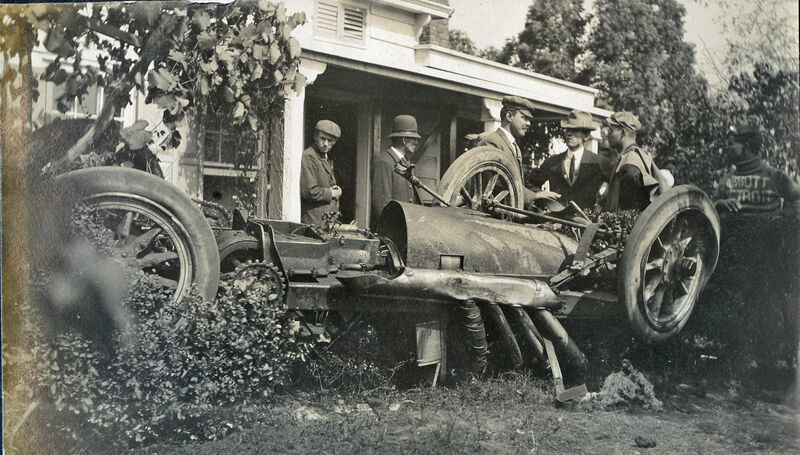 Caption: Louis Chevrolet's 100 hp Marquette Buick which broke its steering gear turned a forward somersault over a touring car, killing the mechanician. 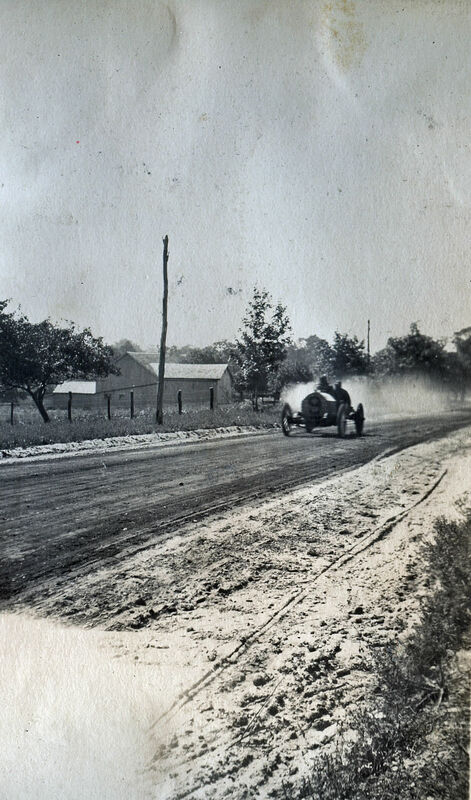 Caption: William (Bruce-Brown, David Bruce-Brown's brother) in his 50 hp Simplex on the Motor Parkway, May 1910. 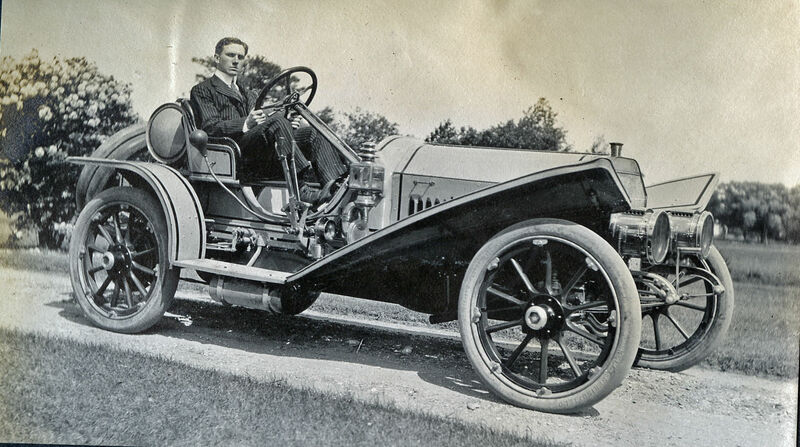 Caption: William in the Oldsmobile June 1910. These are really beautiful and sometimes even spectacular photos. which sometimes remind me of the photos made by Lartigue in the same era. We know all of course that many family archives contain hidden treasures and there are many understandable reasons why the owners want to keep it that way. Therefore we have to be grateful to those families who are willing to share their family history with the world. Thank you! 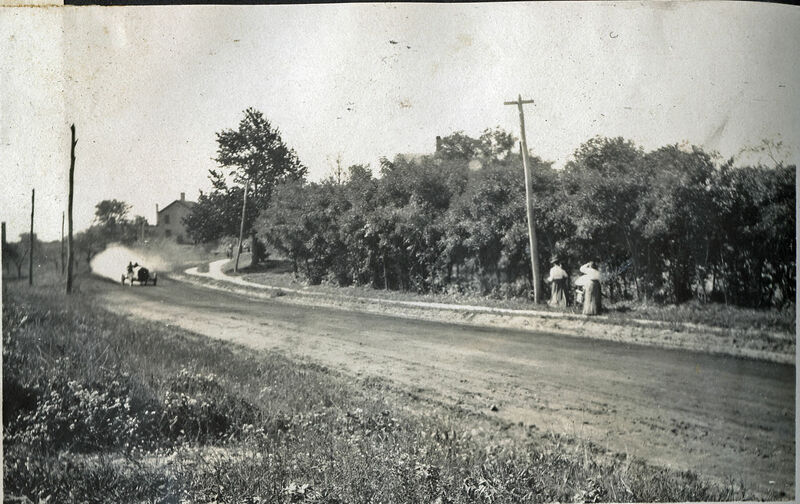 The Olds picture at Medowcroff was taken in 1912. Look at Registration plate. 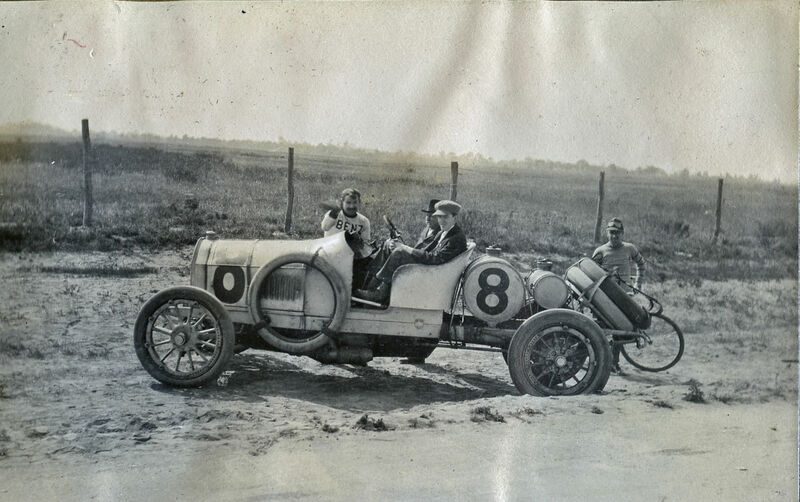 The photos from the Roosevelt family photo album are priceless showing racing how it was. Thanks. 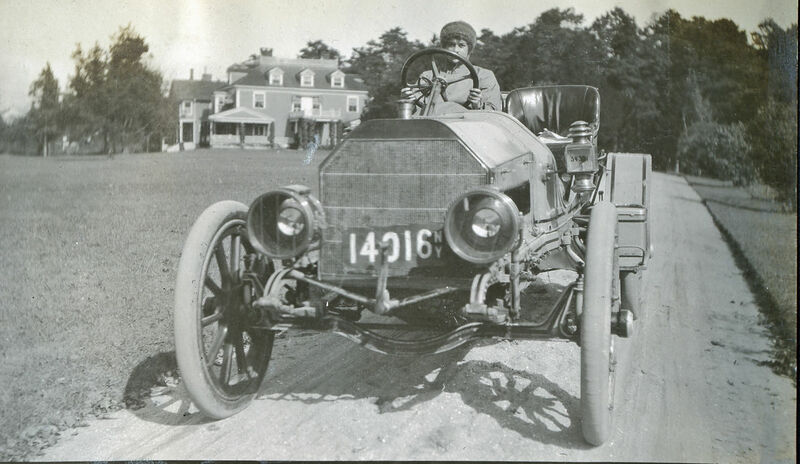 The license plate on the Oldsmobile is from 1910, the first year New York State issued license plates. That year the plates had white numbers and letters riveted on to a dark blue base. The 1911 and the 1912 plates were also undated. The 1912 plate had a porcelain-enamel finish, red background with white numbers and letters. 1913 was the first year New York issued dated plates.